The 1851 Navy was a scaled up .36 caliber version of the 1849 Pocket Model. The handy, more powerful revolver immediately found a following among soldiers and civilians alike and was eventually adopted by both the U.S. and the British military. 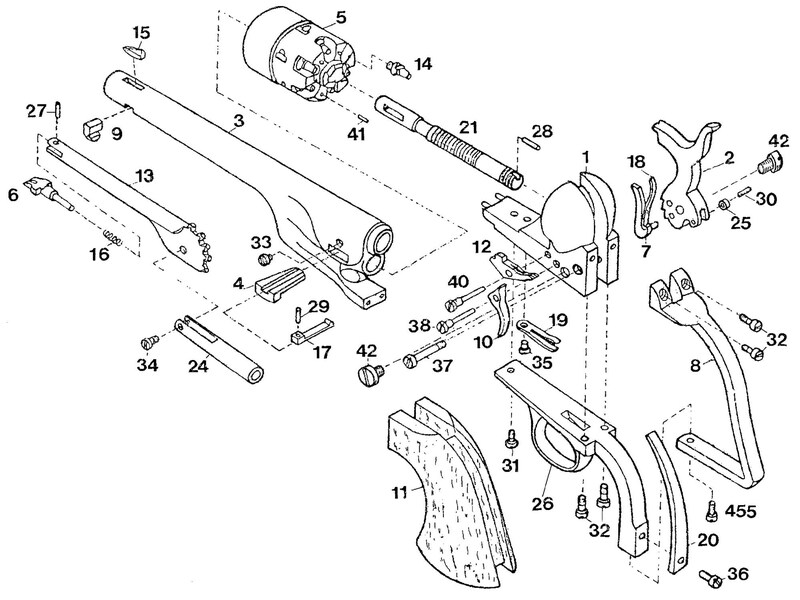 By the start of the Civil War, Colt had refined the Navy into a sleek, streamlined weapon with an improved loading lever. 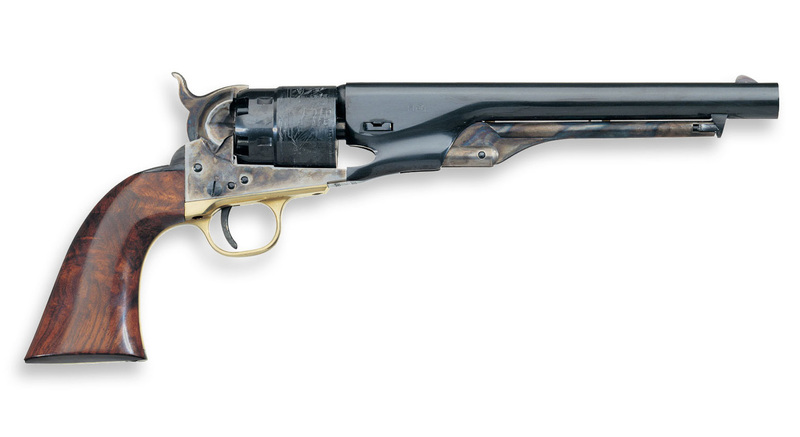 The 1861 Navy is often acclaimed as Colt’s most handsome pistol. Colt worked to perfect his cap and ball revolver, designing the 1860 Army around a lightweight frame, but chambered for the more powerful .44 caliber ball. The first models featured fluted cylinders, while later models incorporated a belted cylinder for added strength and a “creeping” loading lever for easier loading. The sleek 1860 Army is considered to be the ultimate combat handgun of the percussion era. SUPERIOR OIL FINISH FOR REV.